Knowing when to stop is important, and sometimes it is easier than others to pick up the signs. It depends on our focus. 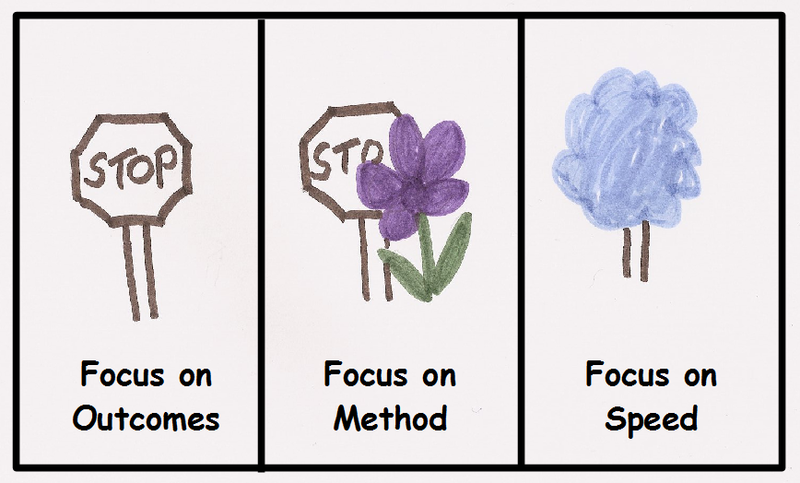 When we understand why we use the principles of agile and lean, and we remain focused on the outcomes it is easier to see when to stop. Sometimes we think that if we follow a process perfectly, then we will always get a good outcome – this obscures the stop signs. Methods are good – but should not be our focus. This focus will help us to miss most of the stop signs because we are only observing how fast we are going. This entry was posted in Uncategorized by kb2bkb. Bookmark the permalink.